Unlike the Ursa Minor J30 which only replaces the factory Jeep top, the GaZell is a different animal altogether. 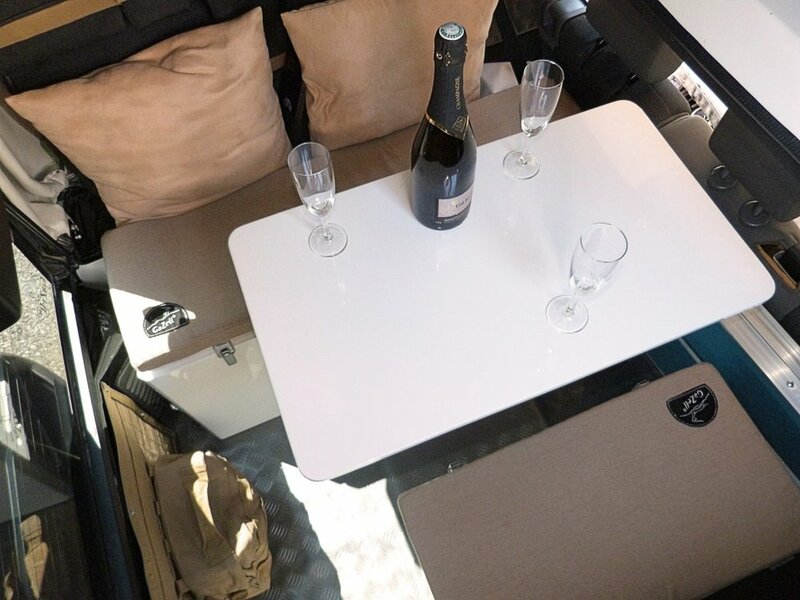 GaZell has designed a complete camper around the JK platform. Much of this is achieved by adding 38 cm to the rear of the Jeep. This creates the space necessary for two bench seats, a table, and a number of high quality cabinets. The kit is completely a bolt on affair with no cutting or drilling required. This camper was made possible through the collaboration of BBF GaZell and AEV (no, not that AEV) Altitude Expert Vehicles. There are three interior arrangements including two, three, and four bed units. 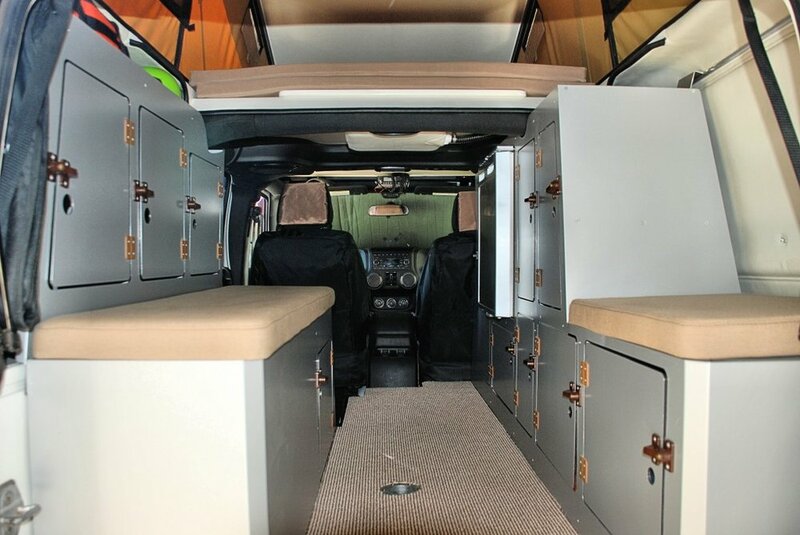 Depending on configuration, you can have a kitchen, two bench seats, a table and toilet. The pop top contains the sleeping platform and only adds nine centimeters to the Jeep's overall height. According to GaZell, the whole package adds a scant 90-180 kg to the curb weight of the donor vehicle -that doesn't seem realistic, but we have no way of verifying this. Whether this is true or not, the build quality appears to be top notch. Check out the photos and videos below. Does 80kg seem realistic to you? We'd love to hear your thoughts in the comment section below. 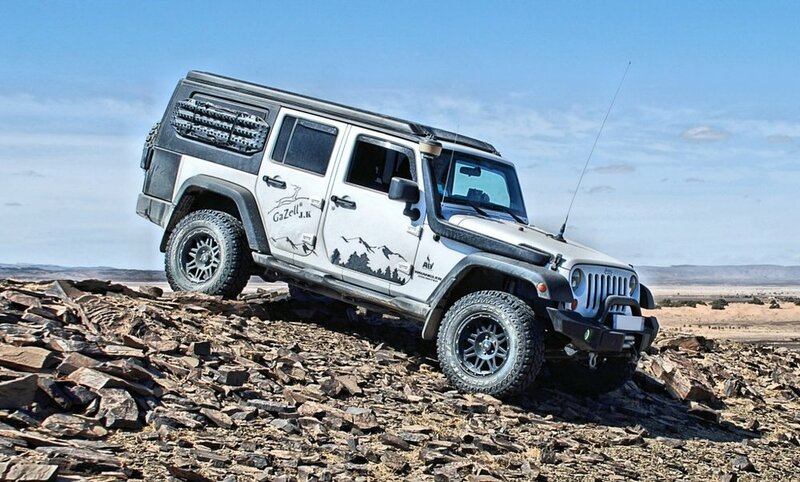 The GaZell for Jeep WRANGLER JK is available in 3 levels of FINISH (Evolution, Any Road, Grand Raid). In addition to the finish "ANY PATH"
• Storage with lockable cupboard doors, in "DIBON" (very light and very resistant) type "AEV" with 2 benches and mattresses (BULTEX 4cm) with fabric covers on the 2 chests storage, fridge 40 liters and toilet.